VANCOUVER, BC – Powell Brewery has announced details of its newest limited edition beer, which is due out just in time for the long weekend. 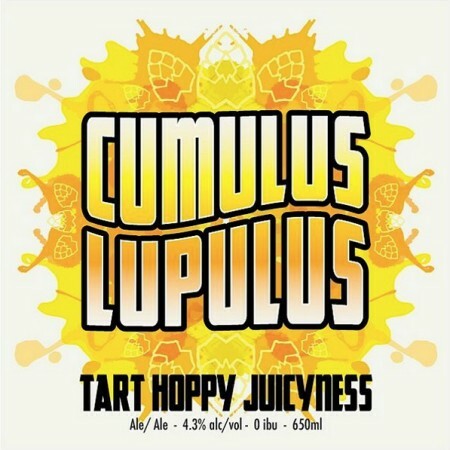 Cumulus Lupulus or “Hop Cloud”, is a hazy, super juicy, triple dry-hopped, light and refreshing tart session ale. The use of Columbus, Idaho 7 and Citra hops gives you just the right amount of orange, grapefruit, mango and passionfruit flavours. This is the perfect sunny day brunch-on-the-patio beer. It’s the feel-good hit of the summer! Cumulus Lupulus will be released Friday May 19th at 12:00 noon in the Powell Street tasting room and retail store, where it will be available in 650 ml bottles and growlers to go, and glasses and flights at the bar.